While I still commit what I can to causes I care about, after having children, this has turned into mostly a financial commitment more than one of time. 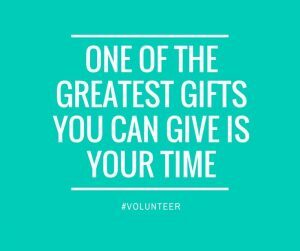 When I can barely fit in time to shower every day (news flash: that doesn’t always happen) it’s difficult to plan ahead and organize a meaningful amount of time to volunteer. Not only do I personally miss the act of volunteering, my husband and I feel strongly that we want to instill in our kids a sense of compassion and an understanding of the vastly different life experiences people have all over the world and right in our own neighborhood. I initially assumed my children, ages one and three and a half, were far too young to volunteer in any meaningful way, but it turns out there are many ways we can volunteer as a family and start instilling those values early on. Spend Time at a Nursing Home. Call up your local nursing homes to see what options are available, but most of them have visiting opportunities where the residents can play with the kids. For some reason, my mostly annoying children are very entertaining (in small doses) to the residents. See if you can bake cookies or treats to bring as well. My daughter loves to bake with me but doesn’t eat the treats we make, so this provides a nice alternative to me stuffing two dozen cookies in my face over the course of a week. My daughter loves dogs, but with the whole family being out of the house for 11-12 hours a day, we are not in a place to become pet owners. I called up some local animal shelters and found out we can volunteer to do everything from walking and playing with them to feeding and grooming them. Some shelters have age requirements, so ask around. This is a win-win in my house because my daughter can spend time with the animals she loves and learn some responsibility, and I don’t have to keep telling her we’re not getting a dog. Whether it’s books for a local children’s hospital or jackets for the homeless shelter, include your kids in the collection, organization, and delivery process. If your kids have a particular affinity toward something–mine love reading–find a way to make it the focus of the donation and reinforce the idea that people from all different backgrounds also love the same thing. Even my one year old can get in on donation collection because he loves putting things in boxes… and taking them out again… so prepare for less-than-efficient organizing. Maybe it’s collecting mail or sweeping the porch for an elderly neighbor. Maybe it’s cooking dinner or organizing a food delivery train for someone dealing with an illness. Sometimes the best place to make an impact is right next door. There are so many ways you and your children can help out in your own neighborhood, and this can also be a great opportunity for your kids to point out what they see as a need since it’s all around them. 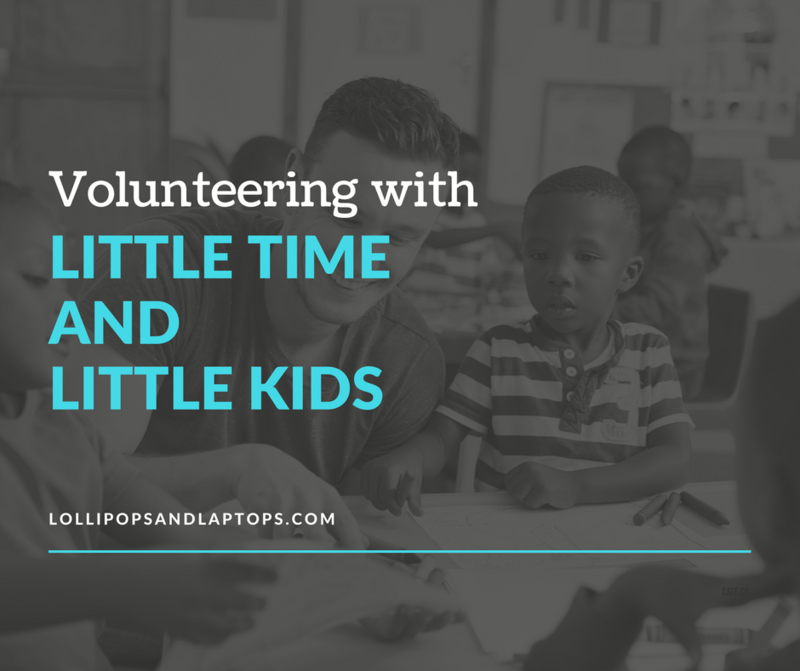 For best results, both for your children and the organizations that rely on volunteers to do such great work, make reasonable commitments and stick to them. If you’re worried about keeping a standing commitment, go with something more schedule-friendly like once per quarter, or every weekend for one month. 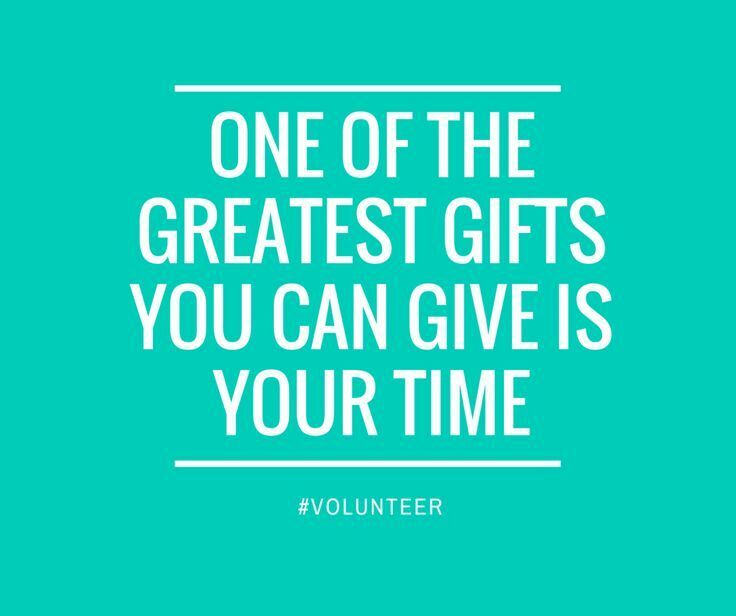 Although the holidays are a great time to remind your family that not everyone is as fortunate as you are, organizations typically have an influx of volunteers at this time, so call around and find out what time of year an organization has the greatest need and try to find a way to make that work for your family. Volunteering is good for the community, good for the soul, and good for the family. What kinds of volunteering has worked with your kids?